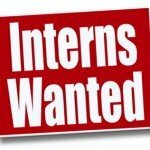 Imperatech Solutions is offering 3 BTech students internship opportunity. Imperatech Solutions is an IT house and a Microsoft Gold partner, among many other Original Equipment Manufacturer (OEM) and solution partners. This opportunity is sponsored by SETA, and urgent placement is required. Application closes today and interviews are set for tomorrow for selected candidates. COMNET and ITM South African students are welcome to apply. To apply for this job email your details to AlphonzoR@imperatech.com.